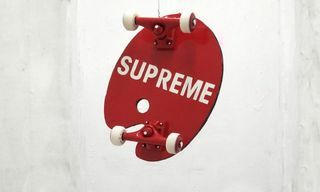 In case you’ve forgotten, Supreme is a skate company first and foremost. 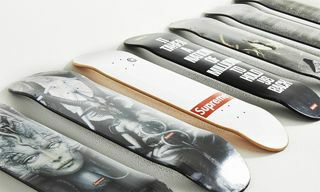 While the label’s tees and hoodies have become some of the best-known grails in fashion, Supreme skateboards decks are at the heart of the brand. 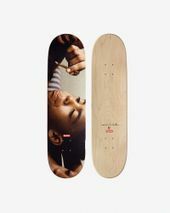 Like box logos or the celebrity picture tee, Supreme’s skateboard decks have become collectors’ items, with fans scrambling to get the rarest or most iconic boards. 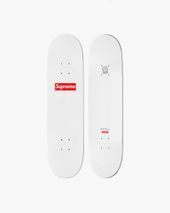 Below, we’ve rounded up the best Supreme skateboards decks, from Supreme’s collab with art stars like Damien Hirst and Jeff Koons to classic boards like the Supreme x Louis Vuitton bootleg and the re-release of the brand’s very first box logo board. Browse them below and let us know which is your favorite in the comments section. 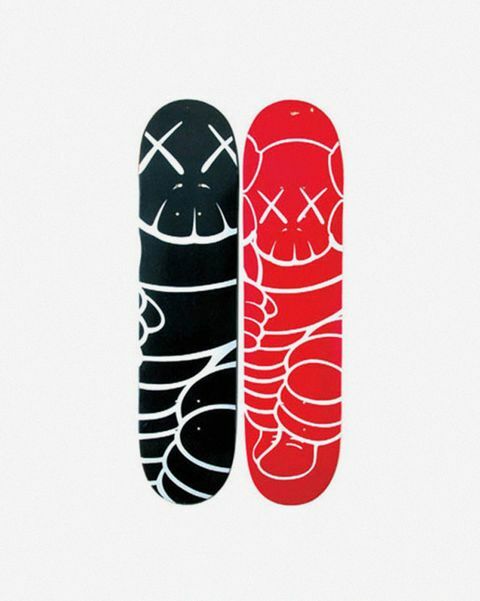 For his first collaboration with the brand, KAWS put his recognizable designs on two Supreme skateboard decks, in a black and red colorway. 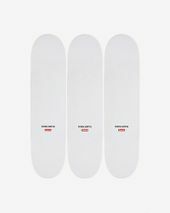 The boards were extremely limited, with just 150 made, so as you’d expect, they’re serious grails for a lot of Supreme fans. KAWS later worked with the Supreme on a subtle hand-drawn box logo that appeared on tees and boards. However, the original collab bearing the artist’s Chum figure is the OG. To celebrate the 20th anniversary of Kids, Supreme tapped the film’s director Larry Clark for a series of tees, hoodies, and boards featuring stills from the movie. Kids is an iconic film, but Supreme’s relationship with the cult classic goes deeper than any other brand. The young, mainly street cast kids wore Supreme in the film, and the movie has even been credited with helping to make Supreme the cultural powerhouse it is today. 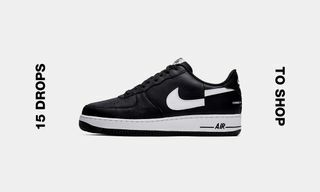 The movie featured one of the earliest Supreme skaters Alex Corporan, alongside the late Harold Hunter, who was remembered by the brand in its 2014 collaboration with COMME des GARÇONS. 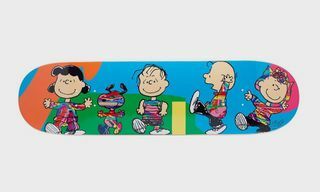 Jeff Koons is one of the world’s most expensive living artists, so it’s no surprise that the resell on his “Monkey Train” Supreme skateboard decks are next level — Artsy currently has the trio of decks listed for $5,000. Supreme loves to work with famous artists — they’ve collaborated with Richard Prince, Marilyn Minter, and Cindy Sherman — but its collab with Koons makes particular sense. A lot of Koons’ work reappropriates classic advertisements, essentially making bootlegs, which is something that Supreme is no stranger to. Another thing Supreme and Jeff Koons have in common? They both have a high-profile Louis Vuitton collab under their belt. 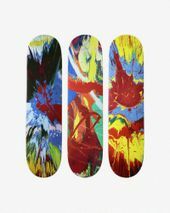 For this joint collaboration, Supreme teamed up with Japanese artists Takashi Murakami and MR. on colorful skateboard decks. But it’s the Murakami boards which have made their way into Supreme history. Best known for pioneering the “super flat” art movement, Murakami’s work blurs the line between “high” and “low” culture and references anime, mangas, ukiyo-e (traditional Japanese prints) and the modern concept of otaku — extreme fandom. Murakami is no stranger to fashion or streetwear collaborations. Alongside Supreme, Murakami has worked with COMME des GARÇONS, Louis Vuitton and OFF-WHITE, to name just a few. Like Koons, Hirst is an extremely divisive artist, but whether you love or hate his work, his influence is undeniable. Best known for his controversial 1991 piece, The Physical Impossibility of Death in the Mind of Someone Living, where the artist suspended a tiger shark in formaldehyde, much of Hirst’s art explores the theme of death. 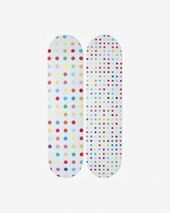 For his Supreme collab, Hirst lent his slightly lighter but not less iconic Spin and Spot paintings. The set of eight decks first dropped in 2009, but then the decks were re-released in 2011, making them slightly less limited. 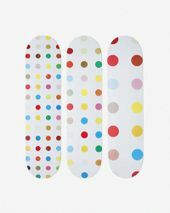 Nonetheless, the Hirst decks are a must-have for any Supreme collector. Snow also produced mixed media work that ranged from collages to sculpture. 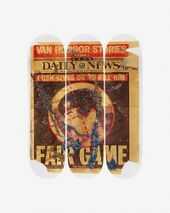 The set of three boards feature a reproduction of one of Snow’s most controversial pieces, which featured a tabloid image of Saddam Hussein, complete with the artist’s sperm encrusted with glitter. Before Supreme was making $54,500 skateboard carriers as part of its now-historic collaboration with Louis Vuitton, it was bootlegging the brand’s iconic monogram. In 2000, at just six years old, Supreme released a series of products consisting of box logo T-shirts, hats and skate decks in black, white and brown colorways, with a familiar pattern that was too close for comfort for the fashion giant. It took only two weeks for Supreme to be hit with a cease and desist from Vuitton’s camp, who was so shocked at the blatant bootleg that they reportedly demanded the stock should be burned to avoid recirculation. 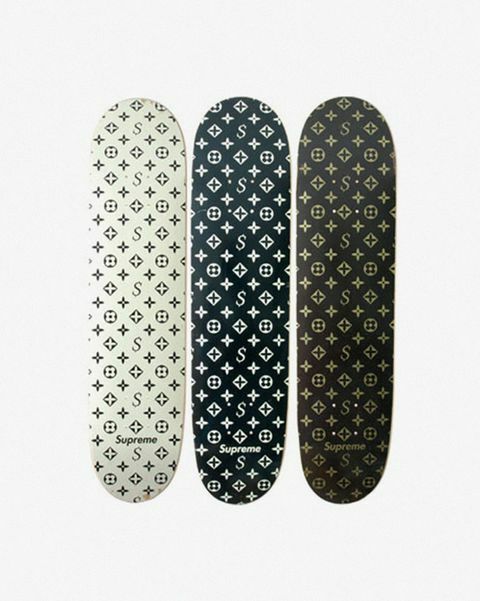 That didn’t stop some buyers, however, as an original Supreme Louis Vuitton bootleg deck recently sold on ebay for $10,000. 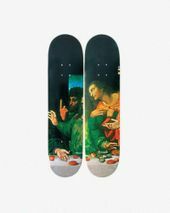 The Last Supper is one of the brand’s most iconic skate deck collections, and easily one of the rarest. 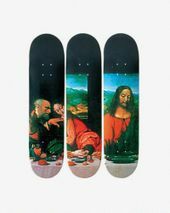 Supreme blew up Leonardo Da Vinci’s iconic artwork The Last Supper, but instead of flipping the image to fill the length of the board, Supreme spread it across 5 individual decks. 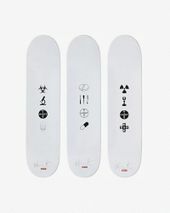 Supreme isn’t the only brand to release a Last Supper board. 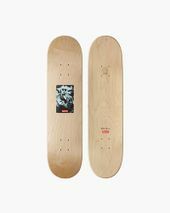 The Skate Room, which collaborates with artists on limited-edition boards, dropped a series of decks featuring Andy Warhol’s take on the classic painting. 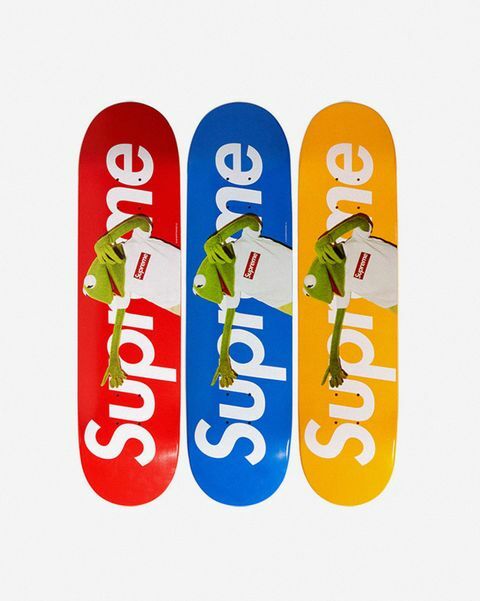 The Kermit T-shirt is one of the brand’s most sought-after celebrity tees, so it makes sense that the matching board has become one of Supreme’s best. The collaboration was official, with Supreme bringing Muppets creator Jim Henson on board. 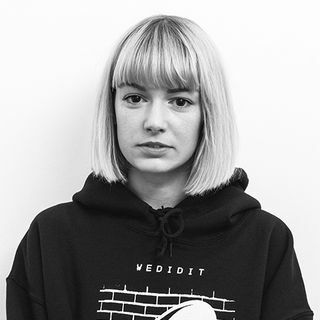 Helmed by Terry Richardson, the photoshoot featured a real-life mini box logo tee made especially for Kermit. Alongside a Supreme skateboard deck and the T-shirt, the collab also featured a 6cm-tall Kermit Kubrick figure produced for Supreme by Japan’s Medicom Toy Co., which we previously highlighted as one of Supreme’s 50 greatest accessories of all time. When the skate brand first opened in 1994, it released three items: A Taxi Driver T-shirt, a box logo, and the mysteriously named “Afro Skater” tee. For the brand’s 20th anniversary in 2014, Supreme took it back to day one by re-releasing the former of the two tees, alongside matching skateboards. 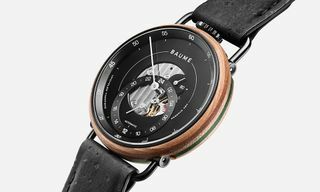 The designs keep it simple, allowing the brand’s iconic imagery to shine through. In other words, these boards are almost too good to skate in — almost. In other design news, here’s what a Supreme x Rolex collaboration could look like.